#1 Adventure Time returned this week! At first, I thought the episodes were going to be one of those boring adventures that are confusing to follow but I actually loved them, especially the last episode! Did anybody else watch the new episodes? #2 I reached 100 followers on Bloglovin! Thank you to all of those who follow my blog and read my posts. I'm not somebody who is obsessed with how many people are following me but it's nice to know that at least 100 people decided to click the "follow" button. #3 I posted some more items on my Depop. This time I added clothing and books. 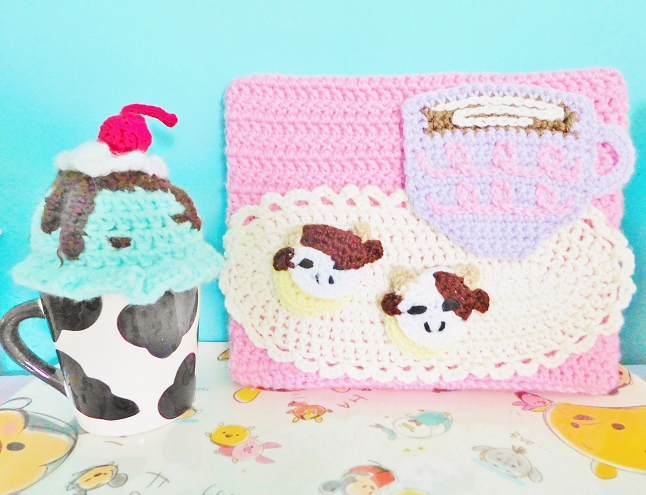 #4 If you read yesterday's blog post then you know that I reopened the MooeyAndFriends shop! I just posted some of my past crochet items but took better photos. Hopefully, they will sell this time around. #5 All I've been thinking about this week is the cutest cactus lamp that I saw at Target last weekend. If my local Target still has it in stock then I am definitely going to buy it! #6 My anxiety has really taken over my body. I've been getting heart palpitations more often then I used it. Which is the perfect timing because I just ran out of my anxiety medicine! #7 I finally complete a week of posts! Yesterday's post was a couple hours late but at least it went up. You can check out all those posts down below.